If you’re looking for a quality timepiece that is both stylish and affordable, there are lots of choices out there. The watch you choose can show off your classic style or send the message that you’re a bit of a risk taker when it comes to fashion. Whether you need a new watch to go with your professional clothing or want a timepiece that will stand up to outdoor elements, you can find a watch in the color and style that is just right for you. Here are the top 10 best men’s watches under $200 for 2018. This imported watch sells for $118.01 and is particularly stylish and has several high-tech features. The combination of black and gold makes the watch stand out, and the unidirectional bezel and subdial trio gives the timepiece an air of sophistication. The watch has analog display and Swiss quartz movement and the window of the watch is made from protective mineral crystal. The Invicta 6981 is also ideal for outdoor activities, since it is water resistant for up to 330 feet, so you can wear it when swimming or snorkeling. This watch is just under $70 but looks especially refined. The round face of the watch is trimmed with rose gold stainless steel, and the timepiece features analog display and Swiss quartz movement for visual appeal and accuracy. 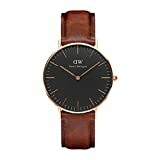 This Daniel Wellington watch has a leather band with a buckle, and the watch is also water resistant in up to 99 feet of water. This stylish watch is $81.98 and also functions as a stopwatch. There are three separate dials on the watch for hours, minutes and seconds. The watch also features aeronautical-inspired gauges, and the industrial style of the watch is suitable for both professional and casual outfits. The stainless steel straps and push-button closure is strong and durable and could last for a lifetime if cared for properly. The watch is fine to wear when you’re swimming in shallow water, but it’s not recommended for snorkeling or scuba diving. This watch is $109 and has an adjustable band so you can find the perfect fit. The black watch has gold accents for even more visual appeal. The watch features both analog and digital display, and it’s also water resistant, so you can participate in your favorite water sports without ruining your watch. This stylish watch is ideal for helping you stay in shape. You can track your steps, the amount of calories you burn and how far you swim. The watch also comes with a free health mate app so you can get health coaching in real time. The white watch face, silver accents and black band give the timepiece a classic look so you can be both trendy and sporty. The timepiece sells for $149.95. This watch is all black with silver accents and sells for $110. This watch is also great for tracking your steps when running or walking. The timepiece also monitors your sleep patterns to ensure that you’re getting a good night’s sleep on a regular basis. 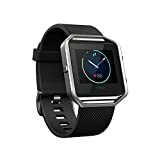 The FitBit costs $129.95 and is a modern and attractive timepiece that also helps you keep up with your fitness regimen. The watch has a black face and dark blue band, and looks great with workout clothes, but you can also wear it with work attire. The FitBit helps to monitor your heart rate, and there are also settings for cardio and fat burning workouts. 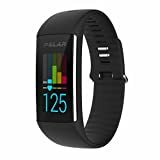 This modern and attractive fitness watch costs about $150 and is a practical and stylish way to monitor physical activity and heart rate. The all-black watch has a large display and even helps you to count calories. The watch is also available in pink, white and blue, and is waterproof. 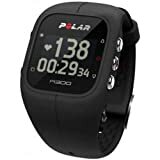 This sports watch is $96.99 and allows you to customize the settings to track your workout and sleeping patterns. The digital display is large so it’s easy to see, and there’s even a vibrating inactivity alert that will remind you to get up and get moving. This all-black watch syncs with your wireless device to help you customize your daily exercise plan. The watch is also water and sweat resistant and has a battery that lasts up to five days. The device is also Bluetooth compatible, so you can listen to your favorite songs while working out. These watches are among the top buys for timepieces this year, and can serve as the finishing touch to your outfit, or the perfect tool for helping you get in shape. Of course, some timepieces serve both purposes, which makes these watches even more appealing. Happy shopping!